Two-division world champion Jessie Vargas hosted a media workout in Las Vegas Thursday as he prepares for his main event showdown against four-division world champion Adrien Broner on Saturday, April 21 live on Showtime from Barclays Center, the home of Brooklyn Boxing. 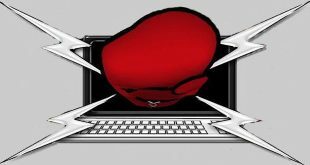 The April 21 showdown against Broner will be Vargas' second fight under the guidance of head trainer and former three-division world champion Mike "The Bodysnatcher" McCallum. "Adrien Broner and I are entertaining fighters who come in and give it our all. This is a fight that will have a lot of fireworks. "I brought in a nutritionist for camp who has done a great job informing me of some things that I've never done before in my career. I feel stronger and I've been finishing up this camp stronger than normal. "If he comes to fight me on the inside then that's going to feed right into my game plan. Bring it on. If he wants to come and fight, then we'll pick him apart bit by bit. We're ready for any type of fight. Once he feels my power, he's going to back up and choose a better route. "I'm going to switch it up. I'm here to give the fans entertainment. Some moments I'll go after him and some moments I'll be the counter-puncher. It'll be based off what he brings to the ring and we'll take it from there. 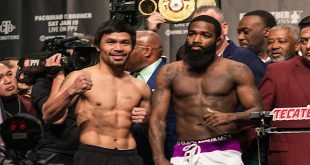 "If Broner feels that he's going to perform better with coach Kevin Cunningham, then good for him. 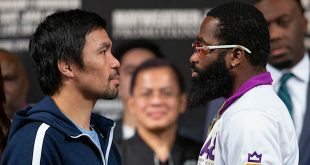 I want to face the best Adrien Broner. I don't want any excuses after this. I'm looking forward to beating the best Broner possible on April 21. "Adrien is fast and explosive, but we're prepared for it. I have those same skills too. We've had great sparring including Devin Haney and Phil Lo Greco just to name a couple. These guys have been able to elevate my skills. "I feel very fortunate that coach McCallum was able to take on the task of training me and I'm happy to be in my second fight with him. We feel like we've already accomplished so much in this relatively short amount of time we've been working together. "Coach McCallum is a tremendous trainer who's been able to teach me some different techniques. Obviously he's known as 'The Bodysnatcher', so we've worked on body shots, but he also knew how to maintain his distance and he emphasizes the mental game. He tells me how he saw every situation during a fight. "Throughout every round and every day coach is on top of me to make sure I'm feeling good and that my energy is at the right level. He tells me exactly what I need and it's gotten me here and in the best shape of my career. "This is a fight that should garner a lot of attention from boxing fans. They deserve a fight like this. It's two guys coming in at the top of their game and only one of us can take this step forward in our career. "I'm planning on having my hand-raised in victory. I've worked hard in camp so that I can go out there and prove to everyone that I'm a threat to any fighter out there." "We picked up where we left off from Jessie's last fight in December. He has all the tools he needs, I'm just here to make sure he knows how and when to use them in the ring. "Everybody knows Broner is a good fighter. It's going to be an exciting matchup because Jessie is in shape and ready to go. "We're ready to fight any kind of style that will beat Broner. We know we're going to have to box, if he has to do it for 12 rounds, Jessie will be ready. Once they get in close, Jessie has a good punch too and that might surprise Broner." "This is the best card in the sport right now. The main event is a sensational bout. This is a 50-50 fight. Both guys need to win this. In Jessie's case, this win will elevate him with the other elite welterweights that are out there. "This is a huge fight. It's a great fight for the fans and we're very proud to be helping promote this event. It's going to be a great night and thrilling main event."